We are here to help you get your delegates to your event; make the best decisions for your company and to help you promote yourself. MyOyster Marketing provides creative freelance event marketing support. Our expert online marketing consultants will often spend time at our client's offices, in order to learn about their businesses from the inside, then work with them to achieve more from existing online activities - and to implement new ones. 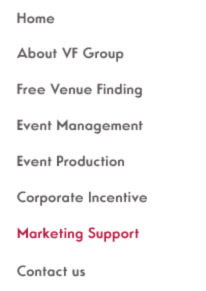 We can offer complete event and promotional support throughout the project, offering a specialist marketing consultant as a single point of contact who will be responsible for assisting you with every element of transport throughout your field marketing project. A conference, event or exhibition can be the culmination of a marketing campaign conceived and delivered through all manner of different channels, themes and incentives. Because we always take the time and effort to thoroughly comprehend what you are trying to achieve with your marketing efforts, we can help devise the key strategies behind your exhibitions and events. Providing support with all online registration and email campaigns to generate initial interest. Identifying prospective attendees within your existing database. Send email invitations for your events direct to your target audience. Create mailing lists from this database for your event invitation. Create either HTML or text-only emails and send them to individuals or to mailing groups. Working closely with your sales and marketing teams to support the event. Identifying your target market that your staff can seek out at the event. Helping measure success / failure.